John Fowler of 911 Restoration Saint Louis knows the importance of proper mold removal. He opened the Saint Louis branch in order to serve a wider clientele and provide help to more homeowners in the community. It is necessary to hire a company that is trained in clearing out mold efficiently, and with 35 years of experience, we are that company. John makes sure that his experts are highly skilled at clearing your home completely of fungus and spores. The IICRC certified mold removal team knows how important it is to check for mold growth after any type of water damage. Moisture is a breeding ground for mold, and it is able to quickly cover any surface, especially if the spores are already in the air. Due to its fast formation time, the mold removal team at 911 Restoration Saint Louis promises to be at your home within 45 minutes of your call, greatly limiting the time the fungus has to begin its infestation. 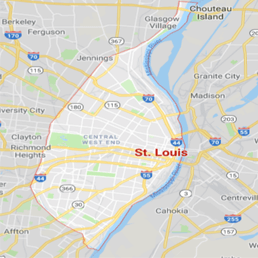 If you are dealing with mold in your home, call the Saint Louis mold removal team anytime, available 24/7/365 so they can get started on making your home a cleaner, healthier environment today. Mold is not just something that looks grimy, it actually carries some serious health implications with it. Exposure to mold can cause a host of physical side effects, such as wheezing, skin rashes, watery, itchy eyes, runny nose, coughing and headaches. Depending on the type of mold, these symptoms can sometimes become quite severe, making it crucial to get immediate mold remediation. Knowing all the facts about mold removal is imperative to homeowners, enabling them to get help for their current mold situation, as well as prevent future outbreaks. 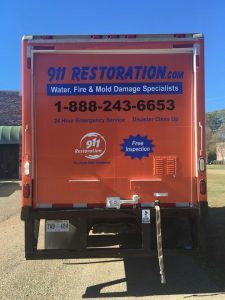 The 911 Restoration Saint Louis mold removal experts are well-versed in mold information, and readily offer advice to customers dealing with any mold contamination in their homes. Reminding the homeowner to keep their space as dry as possible is the best way to protect against mold, fungus and mildew. If there is a water leak or drip, make sure to call the water damage Saint Louis crew to clear your property of all moisture before mold is able to move in. The mold removal professionals in Saint Louis know that it isn’t fun dealing with any type of home restoration, especially something as serious as mold remediation. This is why they try to make the entire process as easy as possible for the customer, from scheduling the appointment to the actual reconstruction to even helping with the insurance paperwork. We offer competitive, affordable prices, enabling the homeowner to focus solely on the mold removal, instead of worrying about the cost. We make sure to use the latest mold removal technology, which gives our customers peace of mind knowing that they are in capable hands. 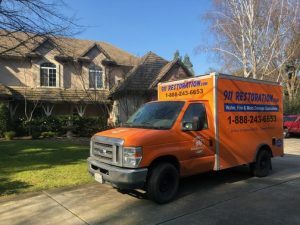 Our team clears away the fungus properly the first time around, ensuring that the homeowner does not have to worry about mold any longer once the work is done. Do not let mold take over your home, or your life. 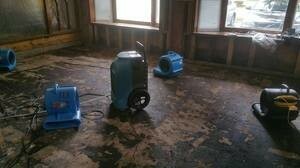 Call the mold removal Saint Louis experts with 911 Restoration Saint Louis and get on the path to a fresh start today! If there is mold in your home or commercial building, it is certainly possible that it came your crawlspace. Anytime you call us for mold removal, we will be happy to inspect the crawlspace as well to ensure all mold has been decontaminated and eliminated. Mold grows and thrives on organic material in humid, dark environments. The crawlspace is a perfect place for mold to grow.Therefore, our mold remediation and decontamination efforts include crawling beneath your crawlspace to remove mold. We have the necessary equipment and training to stay safe in tight areas and avoid breathing in the mold spores. Our goal is to provide a fresh start for all customers. Therefore, we check all possible contaminated areas for mold, mildew, and other fungi. As mold often comes from increased moisture in an area, if mold is growing under your crawlspace it could be due to a leaking pipe or rain water that has pooled beneath your home. Our expert mold remediation technicians are IICRC certified to find and remove excess moisture and water. The mold removal team arrives fully prepared to deliver exceptional disaster restoration services. Call now for complete mold decontamination service.